In this white paper produced by Lucena Research, we show how supply chain information can inform an effective trading strategy. Supply chain data was provided by Revere Data, LLC. by John Cornwell and Tucker Balch, Ph.D.
Lucena Research has evaluated the Revere Supply Chain Relationships™ database, provided by Revere Data, LLC, as an information source for Lucena’s machine learning equity price forecasting tools. This white paper describes the methodology Lucena has followed to compute the indicator. We provide several back test-based analyses to demonstrate the indicator’s effectiveness in trading. Our analysis shows significant predictive value for the indicator, and as such, Lucena will offer this as a premium indicator on our QuantDesk™ platform. 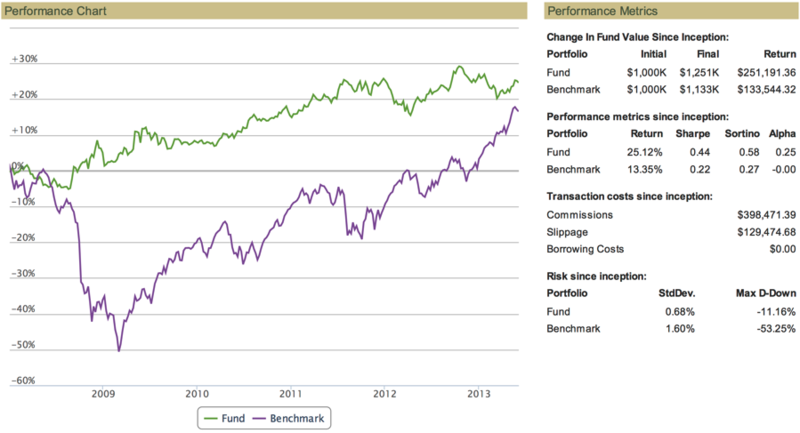 Figure 1: Performance of equity portfolios constructed according to the model proposed by Revere Data (courtesy Revere Data). The key hypothesis of the approach covered here is that strong performance of a company’s stock price suggests that the company’s suppliers’ stock prices will follow. The reasoning is that the customer’s improved fortune will result in the purchase of more raw materials, equipment, and/or services from their suppliers. Conversely, if a customer’s stock price declines, it is likely that it will reduce its purchases in the future, therefore negatively affecting the price of a supplier’s stock. Simulate the performance of those portfolios using realistic models of transaction costs. This research builds on a dataset of supply chain relationships developed by Revere Data. Our approach was informed by recent white papers published by Revere, and by Deutsche Bank Markets Research (see citations below). Overall, our results indicate that the supply chain information has predictive value and can contribute to a strategy that significantly outperforms the market from which the candidate equities are drawn. In the work by Deutsche Bank, the researchers use supply chain information to inform the construction of clusters of related companies. They go on to build predictive models for performance of the clusters, and to show their models are effective. The researchers at Revere use the data to rank supplier companies each month into deciles. They show that the performance of each group of stocks is strongly correlated with its decile ranking (see Figure 1). Our work extends the Revere approach by implementing it as an explicit long/short trading strategy with validation in simulations with trading costs. We use the Revere Supply Chain Relationships™ database to model customer-supplier relationships. The version of the database we used covers North American equities from 2008 to mid 2013. Figure 2: An example of supplier/customer relationship links available from Revere Data. 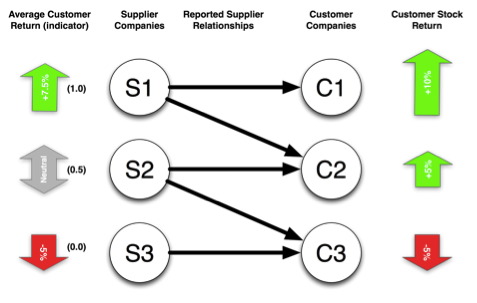 Figure 2 provides some fictitious examples of supplier-customer relationships representative of those in Revere’s Supply Chain database. An arrow indicates a relationship from a supplier to a customer. 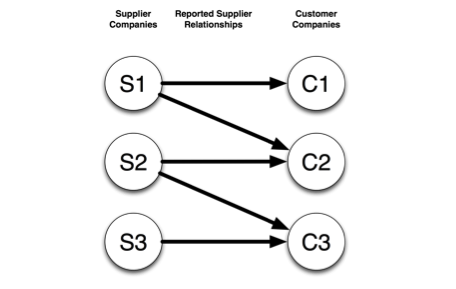 In this example, company S1 is a supplier to companies C1 and C2, company S2 supplies C2 and C3, and S3 supplies C3. This information is gathered for real companies by Revere from SEC filings and news reports. Note that even though it is not the case in this example, the same company can be a supplier and a customer. We also use stock price data available from a separate data provider. Our stock price data is based on daily close information and is adjusted for splits and dividends. from 2008 to mid-2013. Even though the database includes a much larger overall corpus, not all members of the database have historically reported customer supplier links. Figure 3: Example computation of indicator values (left) based on customer returns (right). In a recent paper, Revere Data LLC authors suggest that if a company’s stock price shows strongly positive returns in month t, that the company’s suppliers can be affected positively in month t+1 (Birgisson & Porter 2012). In most cases suppliers provide products to a number of companies, so one can build a more comprehensive estimate of this impact by accounting for all of these customers. Time is running out. If you feel that you need more time to prepare your federal tax return, then filing an extension of time to file might be the best decision. If you have any questions or are wondering if you need an extension of time to file your tax return, don’t hesitate to call cpa service in surprise. In their paper, Birgisson & Porter leverage this observation by building a “customer portfolio” for each supplier. They use the recent month’s return for each of these portfolios as a factor for ranking each supplier. The customer portfolio for each supplier is an equally weighted allocation to each of the supplier’s customers. As an example, the customer portfolio for company S1 in Figure 2 contains two stocks: A 50% allocation to C1, and a 50% allocation to C2. Compose an equally weighted “customer portfolio” for each supplier. Compute the recent one-month return of the portfolio for each supplier. 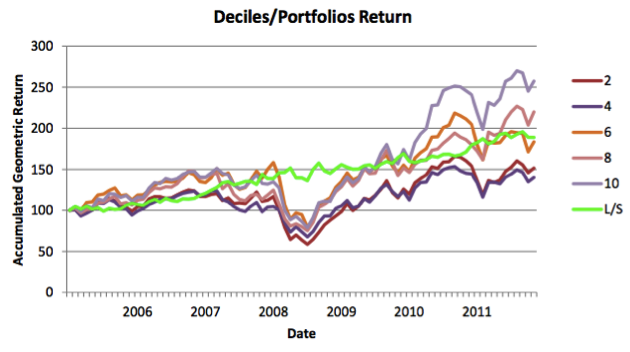 Sort the portfolios according to their one-month return (smallest to largest). Assign indicator value = rank/number of equities. The “best” indicator value is 1.0, suggesting that the customer portfolio for that supplier had the highest previous month’s return. A value of 0.0 is assigned to the supplier with the lowest portfolio return. This process is repeated historically each month for each supplier for which data is available. We illustrate the calculations for our example data in the figure below. In this example companies C1, C2, and C3, return 10%, 5% and -5% respectively in the last month. Accordingly, the customer portfolios for S1, S2 and S3 return +7.5%, 0.0% and -5% respectively, and their indicator values are 1.0, 0.5 and 0.0. Those indicator values suggest that S1 should outperform the market in the next month, S3 should underperform, and S2 will have neutral performance. Figure 4: Performance of a Long/Short strategy based on the supply chain indicator for 2008 to mid-2013. We implemented a trading strategy in simulation as follows: On the first trading day of each month, we compute an indicator value for each supplier company (as described above). We enter an equally-weighted long position in the top 50 suppliers and an equally-weighted short position in the bottom 50 suppliers. Positions are held one month, and then rebalanced. 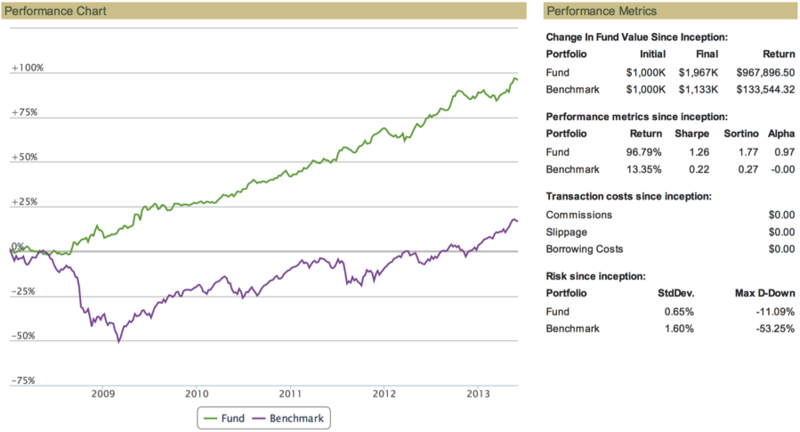 We present the performance of this strategy, using the S&P as a benchmark in the figure below. This first back test shows very positive results, with a consistent average return of more than 10% each year. In our second back test we add transaction costs by modeling commissions and slippage penalties. Commissions are set at $0.005 per share or $1.00 minimum, and slippage is estimated at 10 bps for each transaction (indicating that the price will move against the trader by 0.10% when entering and exiting a position). 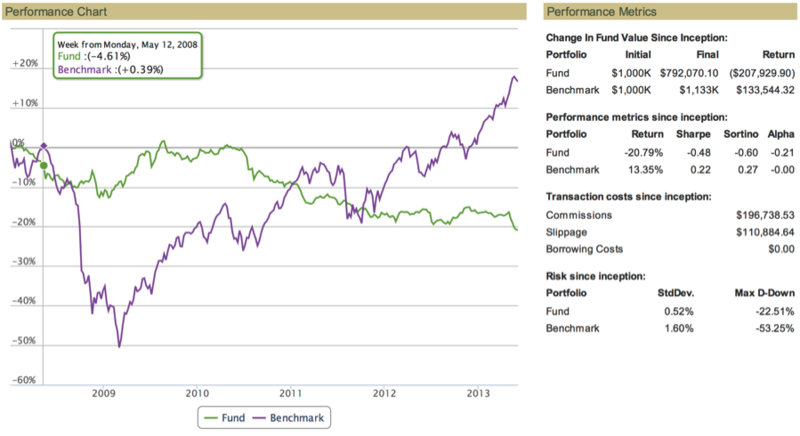 Figure 5: Performance of the long/short strategy with transaction costs included. As you can see, performance is still positive when transaction costs are included but performance is reduced in comparison with the back test without transaction costs. Finally, as a control, we ran a back test in which the long and short positions were selected randomly from the ranked companies each month. The purpose of a randomly selected portfolio is to illustrate the performance we would expect if there were no predictive information available in our signal. Performance of that test is illustrated in Figure 6 below. Figure 6: Our control: A back test in which long and short positions were selected randomly. As you can see, performance for the random portfolio is significantly worse than for our test cases. More detailed back test reports, including specific transactions are available from Lucena Research on request. We propose and implement an indicator based on historical price momentum and Supply Chain relationships. The indicator predicts higher returns for supplier companies whose customers have had recent high returns than for suppliers whose customers’ stocks have underperformed. With random stock selection and transaction costs. The first and second tests significantly outperform the random test. This suggests that there is actionable information in the signal. Accordingly, Lucena is pleased now to offer this premium indicator on our QuantDesk™ platform. This is not investment advice. Tucker Balch and John Cornwell are not investment advisors. I see big impact of transaction costs on perfomance this trading system. May be system generated big of transactions with small return. You are correct about transaction costs. However, this is just ONE indicator. When it is taken along with others — and human insight — we can do even better. More examples to come. But idea very clear – system reflect real economic processes, Figure4 show this. Nice work. From tucker Balch at Georgia Tech. Mr. Balch provides a course on Coursera on Computational Investing. I enroled in the course in the beginning of the year but was unable to finish it! For the record anyway, there’s here his Blog on Trading and……the reading and subscription a lot easier. Tucker, You’ve recently been able to procure databases for insider trading and this one, supply chain relationships. Are you looking for other databases? What about natural resource and energy price impacts? The price of copper or nat.gas’s impact on companies, or crude oil, heating oil, uranium, or aluminum prices? Sure airlines and oil prices are inter-related but there surely must be others. How about political relationships? Defense department relationships (war and terror and weapons and such)? Disaster relationships (weather, geologic, man-made)? There must be databases of such things out there no?